Take Away: Alas, many people who venerate Jobs have taken his message as a pretext to downplay the need for consumer research. Jobs may be correct, but his assertion is perhaps confined to the kind of pioneering products and services he introduced at Apple and Pixar. Most people who claim to be inspired by this lesson from Jobs’s career neither work in the narrow consumer electronics domain nor have their hero’s brilliant intuition and an extraordinarily gifted creative team to sidestep market research and customer input. 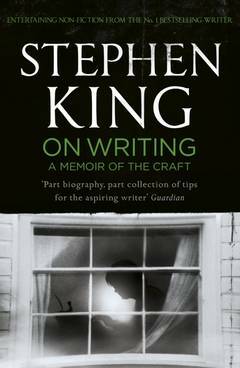 In the bestseller On Writing, celebrated American author Stephen King famously states that he never uses an outline to organize his thoughts. He describes the routine of outlining as “the good writer’s last resort and the dullard’s first choice. The story which results from it is apt to feel artificial and labored. … I don’t take notes; I don’t outline, I don’t do anything like that. I just flail away at the goddamn thing.” King advised other writers to keep from using outlines. 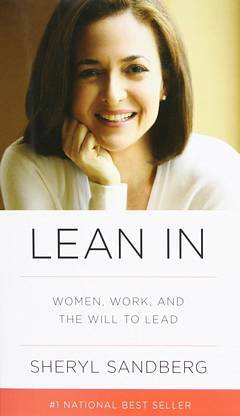 Facebook’s Sheryl Sandberg wrote a prominent career advice book and feminist manifesto called Lean In. Sandberg urges women to fight for gender equality and be assertive to achieve career success. Sandberg’s writing has been criticized for being out of touch with the reality that most women face. She establishes much of her “you-can-do-it-too” counsel on her own experience as a successful woman who’s balanced her career and family through high profile jobs at Google and Facebook. Take Away: Few people come from as privileged a socio-economic background as Sandberg to obtain two Harvard degrees, get an illustrious mentor at college, work on prestigious research projects at the World Bank, and acquire hundreds of millions of personal wealth by their mid-careers. Few women can aspire to be as fairy-tale affluent, talented, and privileged as Sandberg. 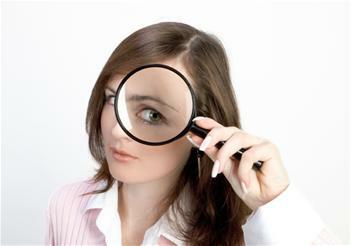 Few can afford to hire assistants and domestic help to help balance the demands of personal and professional life. Few people have the benefit of working in the upper echelons of progressive corporate environments such as those at Google and Facebook that make it as conducive to “lean in” like her. If you read about how successful people get successful, remember that the career advice that works for the superstars is not necessarily what will work for most ordinary folks. So, don’t be misled by their “it worked for me” advice. If a specific technique worked for Steve Jobs, Stephen King, Sheryl Sandberg, or anybody else who gives you advice, don’t assume it will work for you too. Alas, you are likely not as naturally brilliant, gifted, endowed, or disposed as they are. Neither are you as privileged to have access to the resources they can tap into. In addition, in giving advice, superstars tend to understate—perhaps intentionally—the role that circumstances played in their success. On balance, much of success in life is a product of luck—being at the right time, at the right place, with the right people. Alas, what worked in their circumstances may not work in yours. The Buddha taught prudence in such matters. He asked disciples to do what he taught only if it worked in the context of their own lives. He encouraged disciples to listen to his ideas, mull them over, try out what made sense, subsequently adapting what worked, and discarding what did not work. Idea for Impact: Expose yourself to many success principles and consider what qualities, attributes, mental models, or approaches to life you may want to assimilate into who you are, even in part. 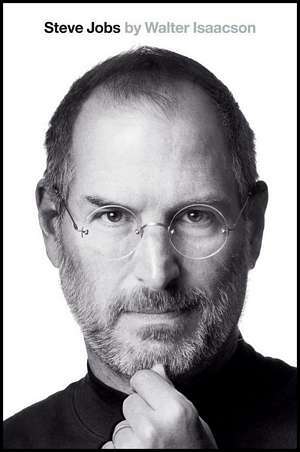 Don’t expect to blatantly imitate a hero and expect the same outcomes: BE YOURSELF. 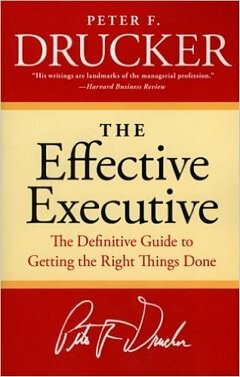 Management guru Peter Drucker's insightful perspective and suggestions for making executives more effective managers of both themselves and others.